PCCC’s Student Government Association (SGA) President for 2017-2018 is not an ordinary one. Motivated by the multiple leadership positions she had previously held, and continues to hold, was a major reason Saray Calderin decided to become a leader in one of the most respected organizations on-campus and nationwide, the SGA. Saray Calderin, Criminal Justice major, ran during the SGA elections of Spring 2017. She initially ran for the Vice President position, but considered applying for the open president position, a decision she asserts she hasn’t regretted a bit. 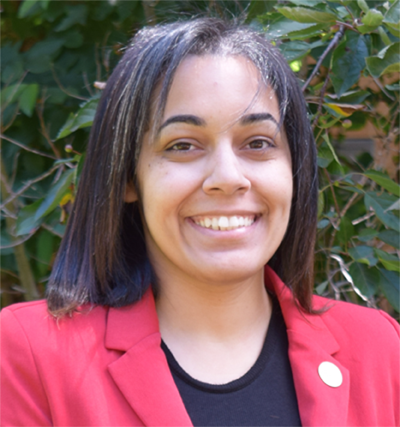 Her exposure to multiple leadership positions prior to her current position has helped Calderin apply her experience and knowledge to her SGA occupation. Calderin was the president of PCCC’s veteran club, is a veteran herself and was and still is the coach of a girls’ softball team. Before attending PCCC, Calderin began her journey in the U.S Navy by going through the military boot camp process, explaining how her first experience was a test for her mentally, emotionally and physically and how she overcame that test thrivingly. She then moved to the training regarding her position of Quartermaster, to then be assigned to the aircraft career where she spent the rest of her navy career. Calderin disclosed her navy experience by stating how that chapter in her life broke her in endless ways, but helped her even more to grow as an individual. Becoming the distinguished SGA president she is now, it wasn’t easy for Calderin to attain this point. Calderin had to overcome managing her new leadership role on-campus and in her community, especially considering how each role she held differed from the other. She considers becoming a different type of leader—one of the best changes she’s made so far. Calderin referred to multiple figures who have been motivating and supporting her throughout her path. Her mother who constantly reminds her of the power of her faith, and her sister who always assures her that they share the same successes and the same journey. In Calderin’s life, her two nephews too were a reminder to her to never give up when her journey gets tough. Calderin asserts that she is honored to have been given the opportunity to serve as President of SGA. She emphasized how being a part of SGA gave her a wider experience of being involved in PCCC. “When I entered the doors of PCCC I knew I was in a place where I would grow,” she said. Calderin mentions that being a veteran, it was difficult for her to find a place where people would be patient with her transition back to the civilian life. She was fortunate enough to find that place in the Office of Student Activities (OSA) and the SGA. Calderin couldn’t find a better fit than being a staff member of the OSA and the president of SGA, environments that are both managed by extraordinary individuals and were essential in furthering Calderin’s leadership and academic growth. Calderin explains how SGA has benefited her by comparing her past duties in the navy and her duties as a SGA President. She reveals how prior to arriving at PCCC, her job was to give directions to her sailors and expect from them to do their job. Whereas being a part of the SGA, she is able to work with her team and share ideas on crucial decisions. Despite all she had accomplished as an individual and as a SGA leader, Calderin sees that she hadn’t had great achievements yet because to her there is always room for improvement. leave the same influence she left at PCCC everywhere she goes.